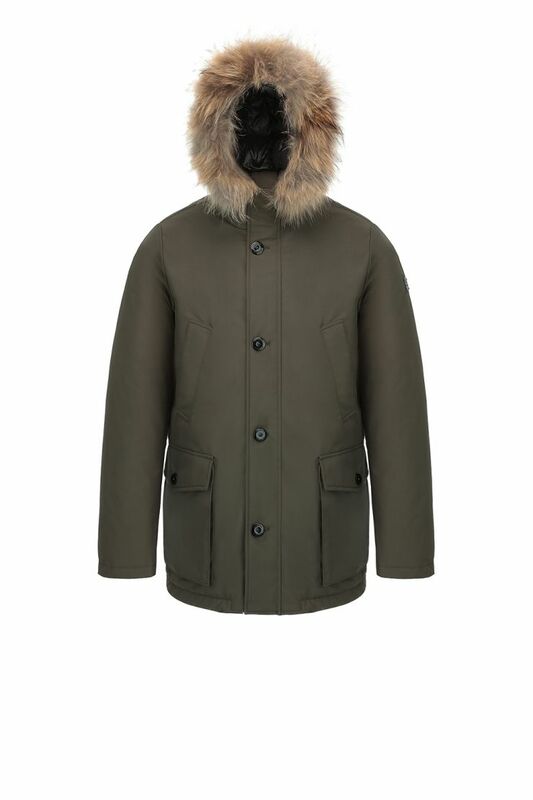 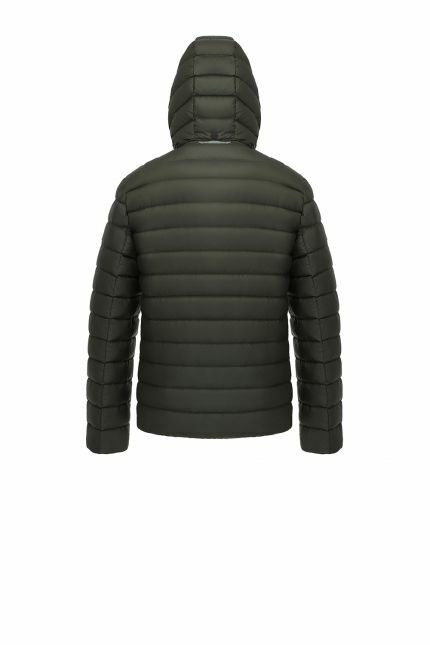 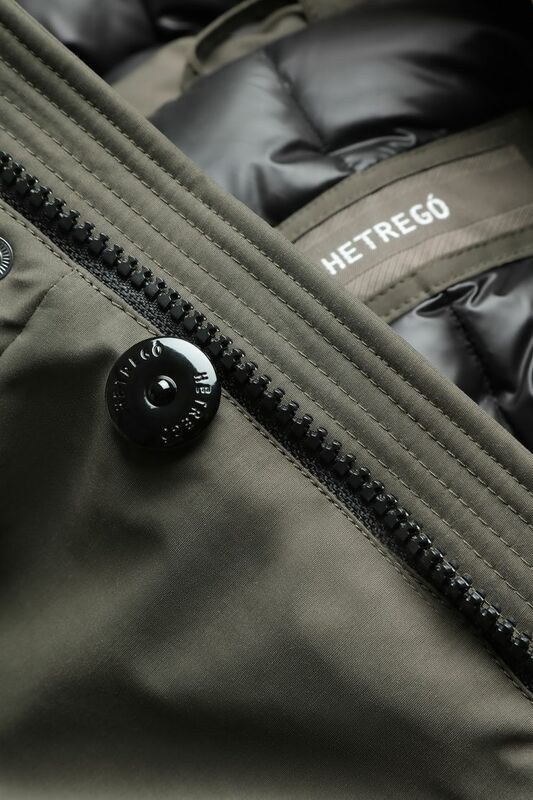 Hetregó Natan military green down parka mixes functionality with minimal elegance and comfort. 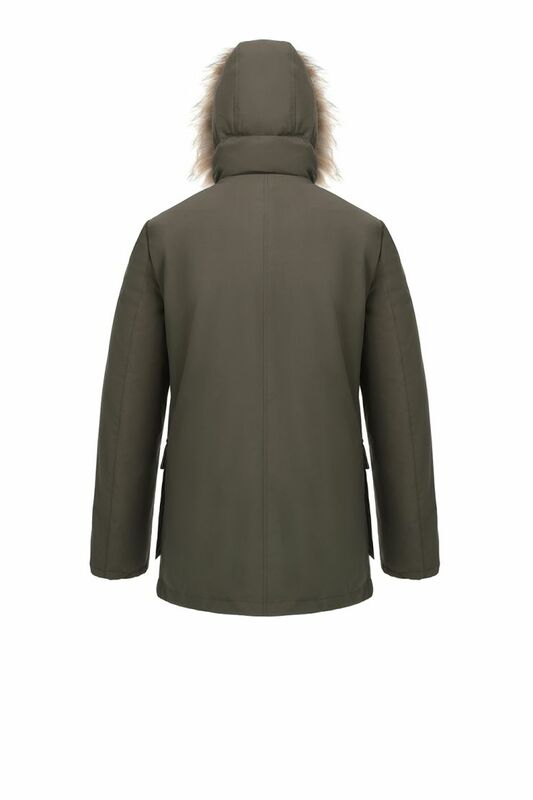 The coat is characterized of two upper jetted pockets with flap and two lower patch bellows pocket fastened with button and a security interior pocket with zip. 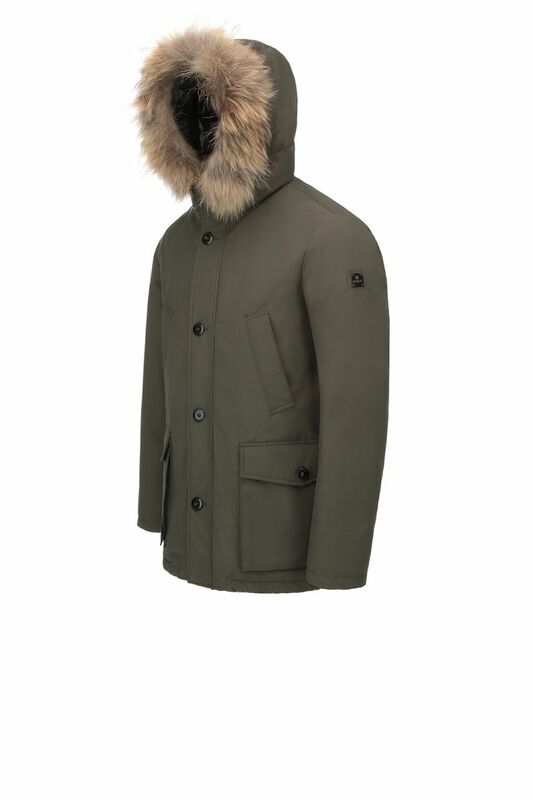 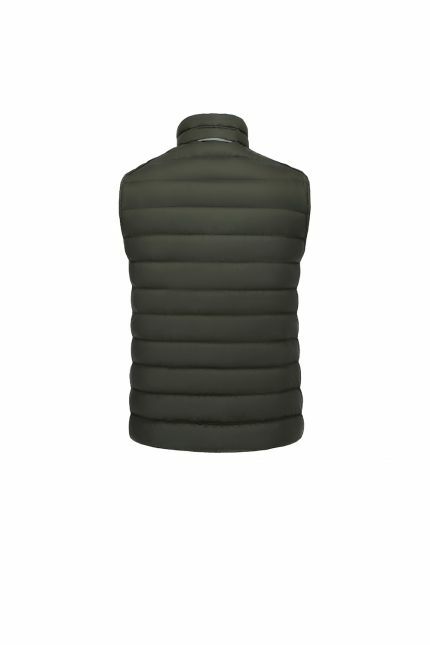 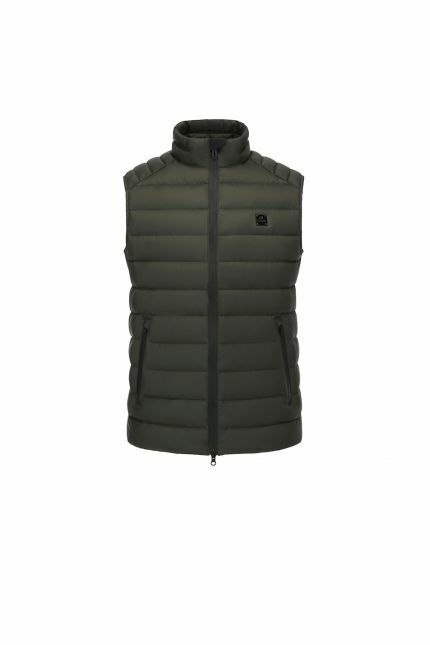 Shaped in waterproof and windproof fabric, this style features a fixed hood and a detachable racoon trim. This versatile down parka has a front two-way zip closure covered by front buttons and a black lining. 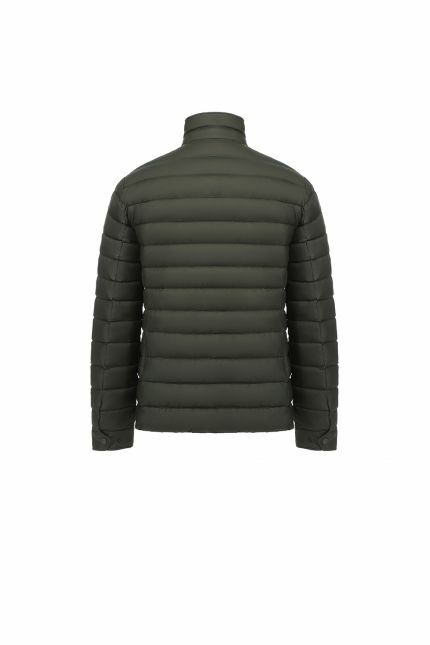 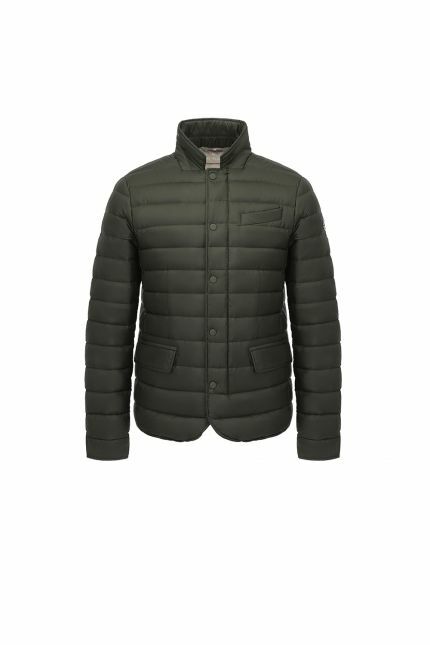 This style padded in goose down is enriched with refined details as the leather puller and, thanks to its versatility, it can be worn from day to night.